Fast-drying anti-corrosion primer with excellent adhesion. 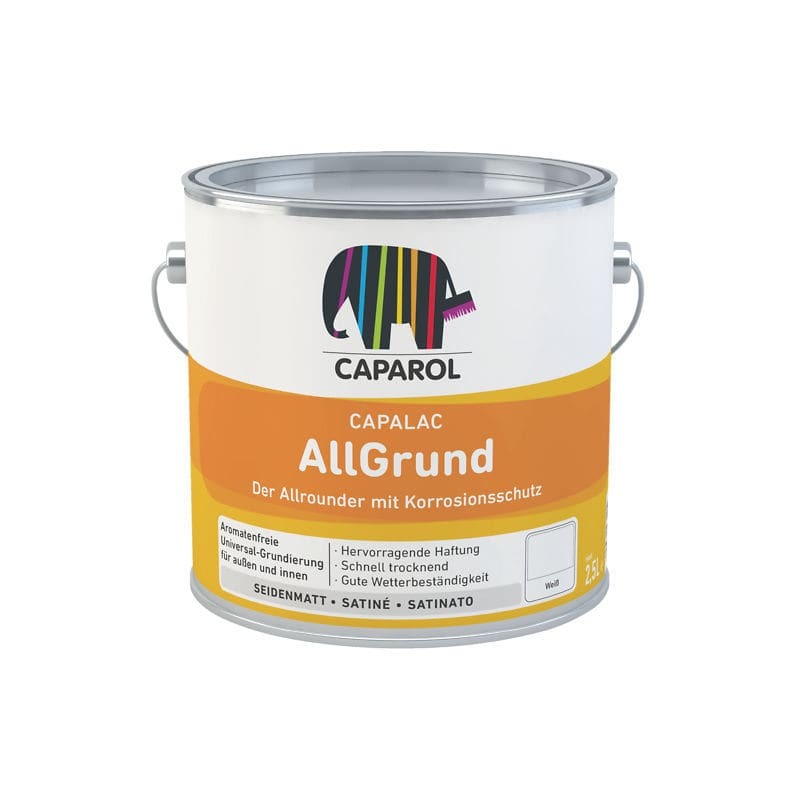 Fast-drying, rust inhibitive priming coat with high adhesion on iron and steel and wash primer on aluminium, copper, zinc (galvanised surfaces), unplasticized (rigid) PVC, wood and derived timber products. Fully-fledged anti-corrosive primer on iron and steel (according to German standard DIN 18363). Fast-drying, already recoatable after 3 hours (white and pastel tints) up to 6 hours (when intensively tinted) with all alkyd resin enamels. Excellent adhesion to many substrates. Special synthetic resin combination with active anti-corrosion pigments and non-aromatic solvents.